At the SMA Summer School 2018 we were delighted to have Jane Mellett as one of our workshop presenters. 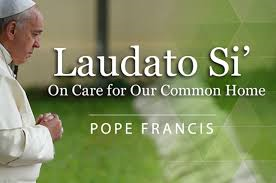 In the past week news of an innovative sharing by Jane of Pope Francis’ 2015 environmental encyclical, Laudato Si’, has caused amusement and admiration throughout the Catholic world. A week after Pope Francis presented a copy of his encyclical letter to President Donald Trump (24 May 2017), Jane decided to also present it to the US President via his preferred format – Twitter! The Society of African Missions salutes Jane’s tenacity, determination and activism on behalf of Our Common Home. You may read the full NCR article and interview with Jane Mellett by clicking here. Jane is currently working to bring the message of Laudato Si’ (Care for our Common Home) to the World Meeting of Families 2018. 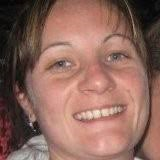 She is a parish pastoral worker with many years experience of working in religious education, pastoral ministry and development education. She is passionate about spirituality, Catholic Social Teaching, overseas development, activism, empowerment, leadership, Pastoral Theology and adult faith development.